Larry the tabby has been appointed the official cat of 10 Downing Street, British Prime Minister David Cameron's residence. TIME takes a look at other politically powerful pets. Aside from the fact that he was beheaded during the French Revolution along with his wife Marie Antoinette, King Louis XVI is also often remembered as the monarch who was fond of his toy poodles. The affection, though, was one shared with the entire French royal court. The canines (who were descendants of German water retrievers called pudels, which means "splashing in the water") were popular among much of the French royalty. 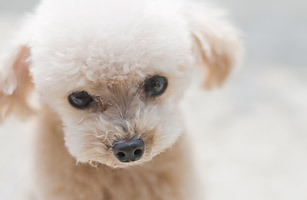 The miniature dogs were often given ornate haircuts and carried around like trophies, much in the same way that Hollywood royalty went through a small-dog-in-purse phase in the 2000s. What's old is new again.